Having a stocked snack drawer is a must in our home. I have to make sure it always has some goodies inside or the troops get upset! The past few days we’ve been enjoying the newly launched Dare Candy Co. REALFRUIT products and I will say that they did not last long at all! Either we were all really hungry or they were just that good. I think the latter is the one that is more applicable. Dare Candy Co. REALFRUIT product line-up includes REALFRUIT Berries, REALFRUIT Chews and REALFRUIT Gummies. They are all made with real fruit juice and natural fruit flavours. They are also gluten-free and have no artificial colours or flavours. And guess what? They actually taste delicious! 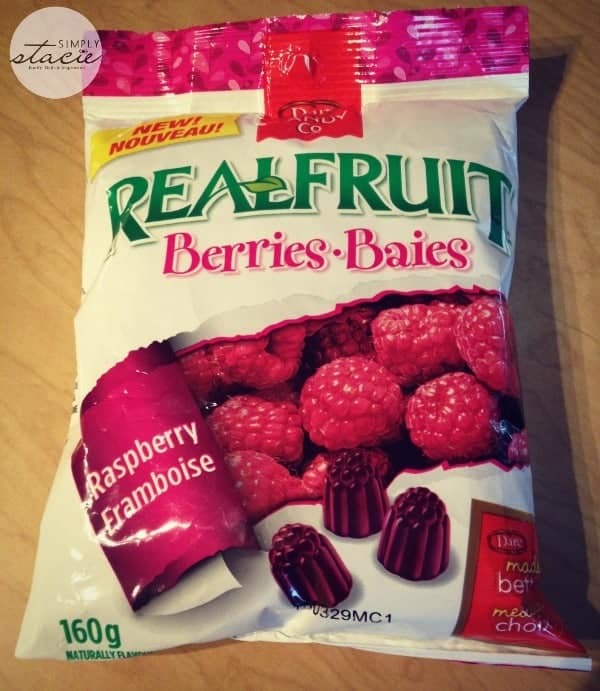 The REALFRUIT Berries (SRP $2.49 per bag) are soft, chewy and bursting with raspberry flavour. They are made with real raspberry juice and John described them as “juicy” tasting. They made my taste buds pop with the sweet tart raspberry flavour. They are addicting! I had to ration out only a few so I wouldn’t eat too many. I needed to save some for John and the girls to try. When I first told John about the REALFRUIT Berries he was skeptical. He is a candy lover and has his preferences. He said that they were surprisingly good and that he would buy them again for snacking. REALFRUIT Berries are gelatin-free, peanut-free, fat-free (including trans and saturated fat-free), cholesterol free and low sodium. If you’re avoiding animal gelatin in your diet, these are great snacking option. REALFRUIT Gummies were the favourites of both my daughter’s. Both girls love the traditional gummy bears you buy at the local convenience store. I would much rather them snack on the Dare Candy Co. version! Enjoy the six delicious flavours of cherry, orange, blueberry, lemon, raspberry and strawberry. They are chewy and full of fruity sweetness! 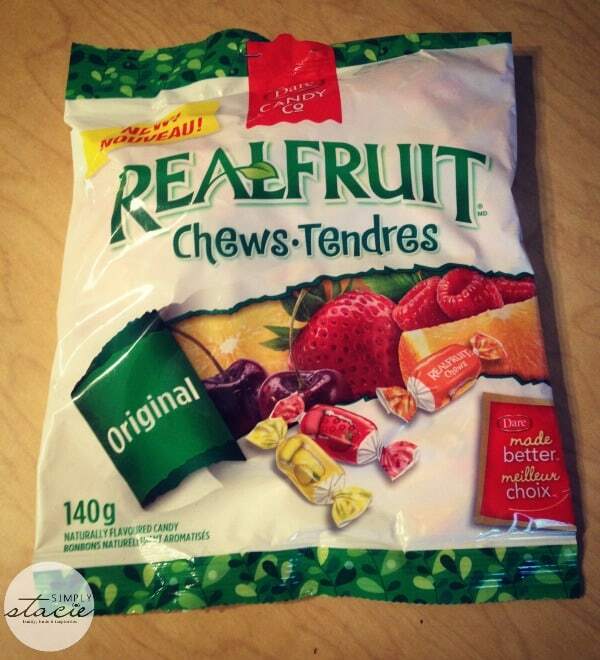 The REALFRUIT Chews (SRP $2.49 per bag) were my favourite of the three new products. They are individually wrapped fruit chews made with real fruit juice and come in five yummy flavours: strawberry, cherry, raspberry, orange and lemon. They are also gluten-free and have no artificial colours or flavours. I like them the best because they are so chewy that I can enjoy them just a little bit longer! I keep a few in my purse when I need a quick snack while I’m on the go. 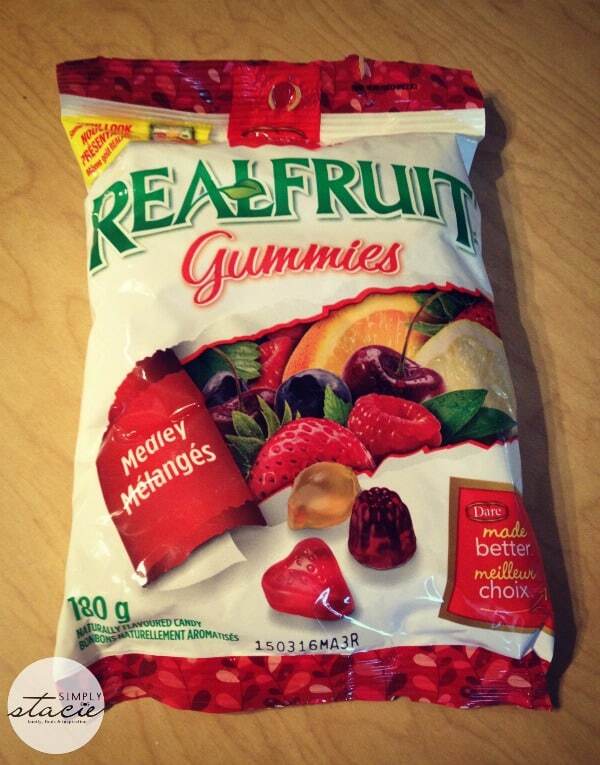 Pick up the REALFRUIT Berries, Gummies and Chews at major grocery, drug and mass merchandise stores across Canada. Visit Dare Candy Co. on Facebook to learn more and stay up-to-date on current promotions. Which of the new Dare Candy Co. REALFRUIT product are you most looking forward to trying? They’re just yummy! Love the berries. Great snack; the grandchildren love them. Thank you for the chance to win this great give away. 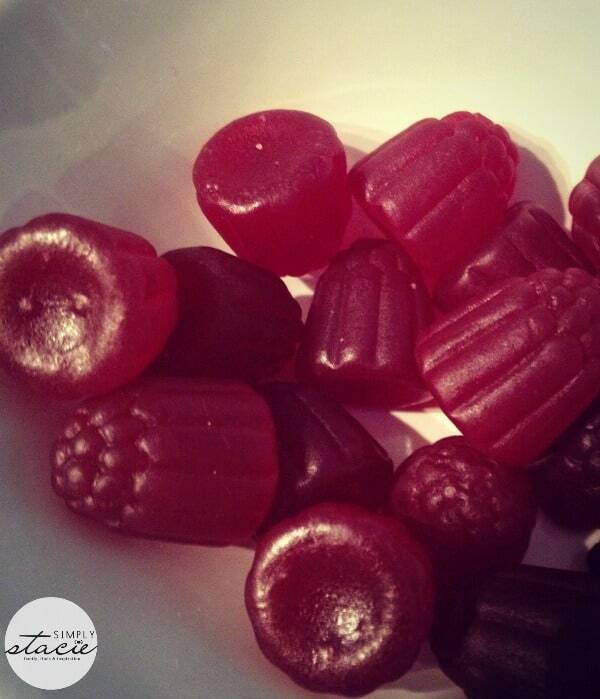 The REALFRUIT Chews is my favourite. The Real Fruit Gummies look great — I’d love to try them. I want to try the gummies. I love these candies! Yum! The berries are the ones that I would look forward to trying first. I am most excited to try the Real Fruit Gummies. Excited to try the Real Fruit. The real fruit berries will be a huge hit n my house! I would love to try the real fruit chews! the berries and the chews! I want to try the berries. I would love to try the berries….yummy! The real fruit gummies look good. I want to try the berry gummies – Raspberry. I’d love to try the chews!! I would love to try the real fruit gummies. Real Fruit Gummies sound delish.